We provide Gas & Electric Range & Oven Repair in Corona and surrounding areas. Gas & Electric ranges, ovens and come in a variety of styles but the basic components are similar on most units. While you may be able to successfully handle a number of repairs yourself, others should be left to professionals. 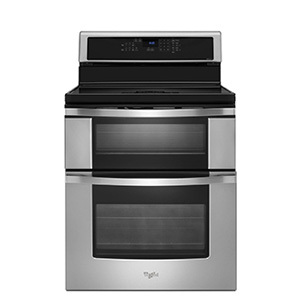 Ranges feature cooking surfaces or flat heating elements on the top of the unit with an oven underneath that usually has a broiler feature. Ovens and broilers require that the oven selector switch AND the temperature control are both set. Cooktops are cooking surfaces without ovens and are usually installed directly onto counter tops. Radiant heat cooktops are a newer form of heating and are normally a radiant heating element under a glass composite top. Built-in ovens are usually wall mounted and may offer double ovens or oven and microwave combinations. We cannot see electricity flow so any fluctuation in electric current might result in serious damage to you and your appliances. Following these minor safety tips can save you from major hazards of life. ■ Always check loose sockets and plugs. 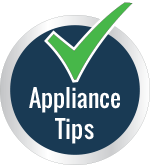 ■ Keep your appliances switched off and plugged out when not in use. 1) For ovens extra heating only “Spoils the Broth”. 2) Always used medium temperatures for cooking to avoid hazards of burning, and over spilling of your food items. 3) Keep your oven clean after use. Wipe off oil, or other over spills immediately before the burners get clogged up. 4) Gaskets or rubber linings of oven doors should be kept free of oil and dirt which prevents proper closure of doors. These rubber seals help to properly close the doors by creating slight vacuum and help to maintain temperature while cooking. 5) Always clean the glass cover of ovens with mild soap and water.